The SMSF sector is blowing up and it’s looking like a very fine way to boost your firm’s bottom line. According to the ATO SMSFs now have total assets exceeding $505 billion. But as with any other expansion of your firm’s services you’re running into the usual roadblocks – time and the resources to either obtain new people to handle the SMSF accounts, or to train your existing talent. Which means it’s time to consider SMSF outsource solutions. Bringing in new in-house expertise is of course always an option. You’re going to need to put some time into finding available talent that’s up on SMSF set-ups, administration, taxes, auditing procedures, reporting, and any technical support that may be necessary. So that’s a considerable chunk of your (or your HR section’s) time and money spent on the hunt instead of heading directly into SMSF outsource solutions. And as with any other talent hired in you’re going to need to expand your infrastructure. You’re going to need new furniture, computers, you might need a new office for space (depending on how many people you bring in), added electric costs, and so on. Since it’s looking like the demand for such expertise is going to remain strong for some time to come, you’re also going to have to keep upping your compensation game in order to keep your new talent from being poached by the competition. Ditto for training up people you already have in-house. Once they have SMSF skills on their resume they’re going to jump up a few places on your competition’s “must-have” list. If they do get poached, you’re out all that training time and expense. Instead of going with SMSF outsource solutions you could look for a local specialised SMSF administration house. The problem here is that the expansion of your own firm is marginalized. A great deal of the effort you put into drawing new SMSF clientele doesn’t so much expand your firm as it does the specialty shop. In essence you become a barker for the SMSF house. The benefits to your own firm are reduced. You’re not much more than a glorified middle-man or woman. You’ll have to put some care into your contract with the SMSF house to ensure that they can’t just cut you out of the deal entirely. Here’s where you get to make the most out of your expansion efforts. 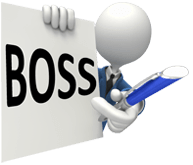 On your end of the equation you set up an account with BOSS and then spread the word that you now offer SMSF administration as part of your services. You collect the SMSF info… and that’s just about it. You pass that info on and the rest is up to us (aside from the audits which are done by an independent Australian auditor). Since the outsourced workers are in effect your employees the SMSF services offered by your firm are indeed yours – you’re no longer a middleman or woman. You can get a fuller picture of how SMSF work is handled between you and BOSS here. It’s time to get your slice of the SMSF pie. BOSS wants to help you get the biggest slice possible.